HATTIESBURG, Miss. -- An afternoon workshop will help Mississippi commercial blueberry growers brush up on the latest research and training related to their crop. The Mississippi State University Extension Service is hosting the 2018 Mississippi Blueberry Education Workshop Jan. 23 at the Forrest County Extension office in Hattiesburg. Registration is at the door on the day of the event at 1 p.m. There is no cost for the workshop. Although the workshop is not oriented toward hobby or home gardeners, blueberry growers of all skill levels are invited to attend and interact with professionals. Topics for this year’s workshop include disease sampling techniques, drought tolerance of rabbiteye blueberries, updates on spotted wing drosophila, the potential of unmanned aerial systems technology in agriculture and training required under the Food Safety Modernization Act. 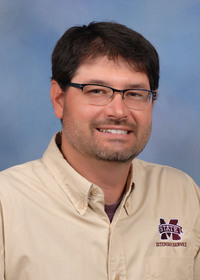 Experts with the MSU Extension Service and the U.S. Department of Agriculture Agricultural Research Service will provide presentations. The itinerary is subject to change. The workshop ends after an unmanned aerial systems demonstration at 4 p.m. The Forrest County Extension office is on 952 Sullivan Drive in Hattiesburg. Email MSU Extension fruit crops specialist Eric Stafne for more information at eric.stafne@msstate.edu.